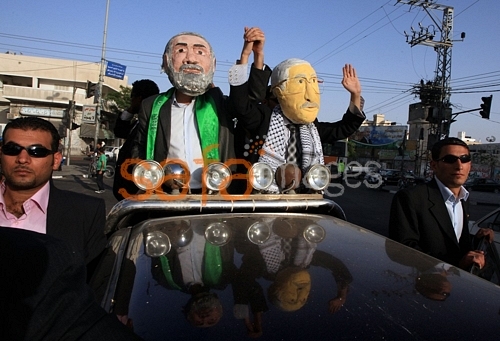 A unity government is being formed between Hamas and Fatah representatives. It is to be headed by Palestinian Authority Prime Minister, Salam Fayyad, and will include members from both factions, as well as independents. Palestinian Authority President, Mahmoud Abbas, along with a number of Hamas leaders, have acquiesced the new plans. Under the conditions for the unity government, Hamas may continue ruling in the Gaza Strip, so long as it abstains from the use of violence. Previously, Hamas approached the offer with suspicion. One of the group’s leaders, Salah al-Bardawil said “Fayyad does not represent the Palestinian leadership” and that due to his lack of legitimacy, the prime minister of the Palestinian Authority is “not authorized to speak about public affairs. However, in recent days, the ice has begun to melt. Mahmoud a-Zahar, a Hamas leader in Gaza says he is open to the deal; and according to Israel Radio, Fayad says he is willing to go to Gaza to discuss further, the unity deal with Hamas. Also, Nabil Shaath, a top official in the Fatah Party, told The Associated Press that he would go to Gaza soon to negotiate with Hamas leaders to work out the terms for a unity deal. Meanwhile, two Grad-model Katyusha rockets hit the southern Israeli town Beersheba for the first time since Operation Cast Lead. The rockets fell in a residential Beersheba neighborhood; one rocket landing in the yard of a home, causing large damage. No physical injuries were reported but five people were treated for shock. Last Wednesday afternoon, an explosive device detonated while IDF soldiers passed near the Gaza security fence during a routine operation and a mortar shell was fired at the force. No one was injured and no damage was reported. Along with the border skirmish, five mortar shells fired from Gaza landed in the Sedot Negev Regional Council area on Wednesday. Meanwhile, a strange flipflop for American President Obama, was instructing the U.S. representative to the United Nations to veto the Security Council resolution, last Friday, that would have condemned Israel’s West Bank settlements as illegal. The Israeli solar energy industry is blaming government bureaucracy for its sluggish progress. The Arab oil nations of the world have geopolitically isolated the Jewish Country since its founding. So, in the green era that we are living in, it is not that Israel’s unpopularity in the Arab world does not provide an energy incentive. It does. What’s the hold-up? The location of the country, so near to the equator, leaves us to question why we seem to be straddling behind everyone else in solar energy usage and development. 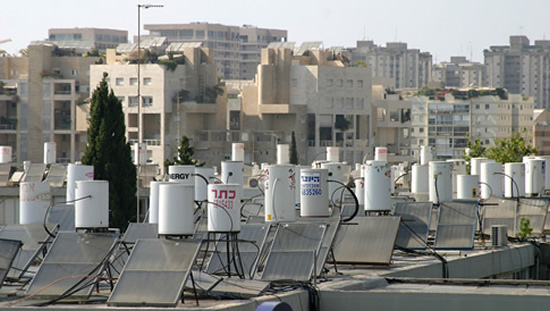 While not necessarily strapped for natural gas, solar water heaters on homes and buildings account for roughly 3% of Israel’s energy demands. That’s just not enough if we are in a race with North America and Europe (and not enough to bring down the formidable gas price). Rigid disjointedness at the PUA (Public Utilities Authority) is reportedly injuring small Israeli firms: Solar power vendors in Israel still need foreign partners for most bank loans and the PUA still demands opinions of “international consultants” for much of the product development process. Israeli firm, SBY Solutions is threatening to sue the state because the PUA eliminated a requirement that developers of high-voltage solar installations perform overseas projects at first, to obtain licensing. SBY Solutions is currently working on solar projects in Eastern Europe. According to Neal Ungerleider of Fast Company, Israeli companies catering to small customers are having better luck. MCO Industries signed a $50m deal with the Texas-based Sun Freedom, selling them solar water heaters at $800 a pop. Negev-based, Friendly Energy signed a $23.8m deal to develop photovoltaic panels for an industrial solar farm in Italy. Israel’s goal is to generate 10% of electricity from renewable sources by the year 2020. Doubtless, the goal is within-reach, but will it be enough? 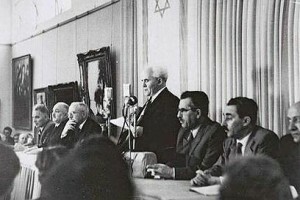 On Monday, just ahead of the 62nd Independence Day, the Government Secretariat published rare papers documenting the first government meeting in Israel. 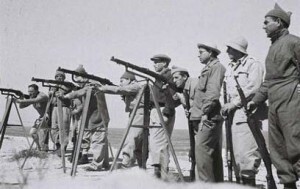 The meeting, which was held in Tel Aviv just two days after the state was established on Sunday, May 16, 1948, centered on a debate about the selection of ministers and updates on the war situation at the front. This is a beauty. The ministry of communications announced in recent days a fight against this pesky VoIP (Voice over IP) trend. In a directive to all 56 ISPs in Israel, the ministry asked that no Internet calls be allowed to take place over their infrastructure. The general manager of the ministry claims that 10-15% of the international calling market is being lost to Internet calling services. When you walk around the neighborhood in my area, you can actually hear the sounds of messenger alerts and computers ringing with incoming calls. Israel was a leader in the field and VoIP has a significant part in its technological identity. Apparently for the Ministry of Communuications this has little significance. Correct me if I am wrong, but didn’t Israel spearhead much of the VoIP industry in the early days? Didn’t I just go to Israel six months ago to pay homage to the pioneers of the VoIP Industry? Didn’t I also meet with several Israeli Cabinet Ministers about ensuring Israel’s ongoing role in advanced Internet-based communications? Aren’t I planning to host VON Israel specifically because of the innovative, entrepreneurial, enterprising and forward-looking approach to communications and the Internet emanating from Israel? So for the record – don’t take it to heart. It means absolutely nothing. This is a political move and a way to pass the buck to the ISPs for something the ministry of communications has no chance in hell of ever achieving !